When things are getting heated, you can rely on your air conditioner to keep you cool. New Braunfels is in the middle of the summer, and that means it’s at its peak of humidity and heat. Since you are running your AC more frequently to beat the heat this summer, you might be experiencing more problems than you do in other seasons. In the last two blogs, we’ve covered a whole host of problems that are common with air conditioner units during the summer. Fortunately, Legacy Services AC and heating repair have been addressing these problems and more for more than 30 years. In our last entry into this blog series, we’ll cover a few more problems. There are few things more dreadful than an air conditioner that doesn’t work on a hot summer day. If you’re trying to power on your AC unit, and it’s unresponsive, it might be one of several problems. A blown fuse might be the culprit, which means you’ll want to call an AC repair specialist to replace these parts. It might also be a tripped circuit breaker. A quick trip to the breaker in your home is an easy fix for this problem. Of course, it could be a deeper issue, and your air conditioner might be suffering from broken or loose wiring. The iconic hum of your air conditioner is almost as comforting as the cool air it produces. It’s a sound that is a distinct part of summer. That’s why it’s so noticeable when this sound changes. If your AC is making a series of high pitched squealing or squeaking noises, this may be the result of a belt that has worn out or has been knocked out of alignment. If a rattling noise is emanating from your AC, your unit might be packed full of debris, dirt, and grim. This can deteriorate your bearings, or worsen the condition of an already worn belt. Of course, the fan motor of your air conditioner could also be experiencing issues that result in unusual noises. In any of these cases, it’s best to shut your unit off until an AC and heating repair expert can diagnose the problem more clearly. 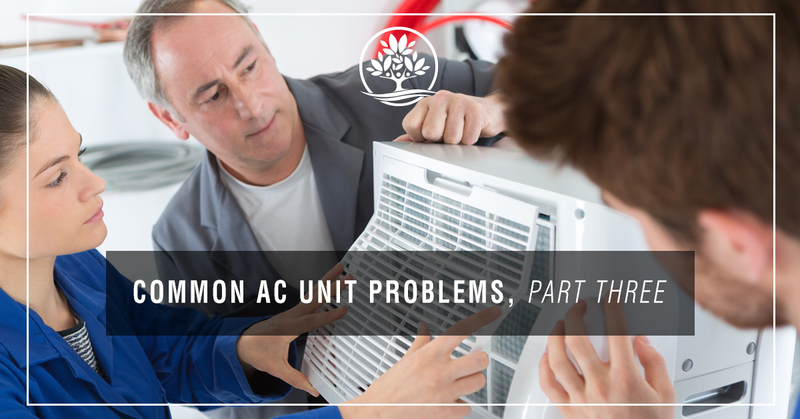 With so many years of experiences under our collective belts, our technicians have found that one of the most common problems an air conditioner experiences isn’t even an issue with the unit itself. In fact, often times, it’s homeowners who are making their AC units work overtime by leaving windows and doors open in their home. For your AC to be most effective in cooling your house this summer, make sure all of the doors and windows of your home are sealed. Otherwise, you’ll be venting this cooled air out into the New Braunfels summer heat. Keeping your house sealed keeps your air conditioner running efficiently and effectively. It also ensures that your AC runs longer, as it won’t put undue stress on the parts and components of the AC. If your AC is acting up, it’s time to call in the pros. 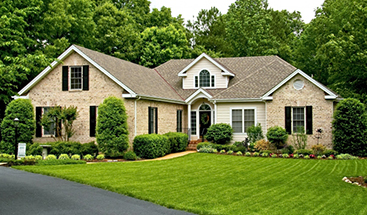 Legacy Services has been a part of the New Braunfels community for more than 30 years. We’re happy to help you in any way we can. So when you’re in need of air conditioning repairs, make sure to call us first!